Elevate the senses with the soothing essence of white tea! A very clean sweeter tea with some fruitiness to it, not herbal like some white teas. 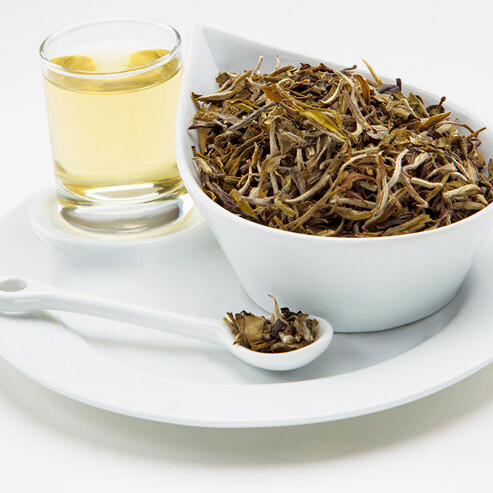 The name "white tea" derives from the fine silvery-white hairs on the unopened buds of the tea plant, which gives the plant a whitish appearance. Like black and green tea, white tea is also derived from Camellia sinensis. Thus, white tea shares many of the same chemical properties and health effects of tea. However, white tea contains the most antioxidants. Catechins, a group of polyphenol antioxidants found in white tea, have been found to reduce cholesterol, decrease blood pressure, and improve the function of blood vessels, thereby decreasing the risk of cardiovascular disease. Scholars and tea merchants generally disagree as to when the first production of white tea (as it is understood in China today) began. What is today known as white tea may have come into creation in the last two centuries. White tea may have first appeared in English publication in 1876, where it is categorized as a black tea because it is not initially cooked like a green tea, to deactivate internal enzymes and external microbes.